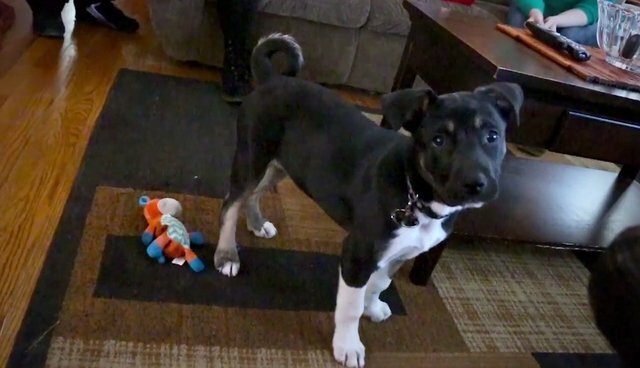 When the McLarty family rescued a 3-month-old Husky mix named Hunter from the Michigan Humane Society shelter two weeks ago, little could they have guessed the spry young pup wouldn't only bring joy to their lives -- he'd actually go on to save them. Last Wednesday at around midnight, as his new family slept, Hunter began to whimper and whine, insisting that his new adopted mother Jill wake up. "I thought 'okay, he wants out'," says Jill. "Normally he'll hit you in the face with his paw when he wants to go out. But he was just consistently crying, so I said 'okay, let's go outside." Once out of the house, Hunter just sat there and continued to whine. Jill brought him in and carried him back to her room to try and sooth him, but the puppy was inconsolable, refusing to stay in bed. "He took off into the kitchen, so I followed him and I turned on the kitchen light and he was sitting next to the stove, just crying," Jill says. "So I glanced at it and that's when I noticed the burner on." 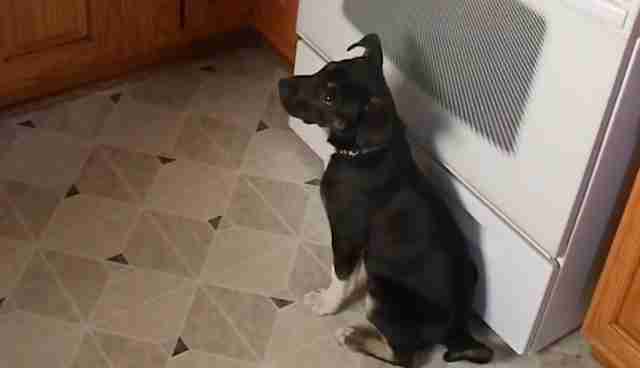 What the McLarty family didn't realize was that the unlit stove had been slowly leaking poisonous gas, which, if it weren't for their newly adopted puppy alerting them, would have continued to fill the house for several more hours. "He saved our lives. Anything could have happened that night," says husband Tim. "As cliche as it sounds, the life you save may save yours." With potential tragedy averted thanks to Hunter's insistent whining, the McLarty family's unlikely hero could finally relax. After everything had been resolved, says Jill, "he was out cold within minutes."